Doctor Who: The Lone Centurion | Warped Factor - Words in the Key of Geek. Tony falls in step with the legion. If Series 5 of Doctor Who was intended to be ‘the fairy tale’ season, all about a girl who was due to marry a local, good-hearted peasant lad, but who instead ran away in the middle of the night with her fairy godfather in his magic box, then the story of the Lone Centurion is an adaptation of Pinocchio, where the boy who’s not quite real and should be dead is kept alive by love and lives a life he’s never known before. Possessed by an evil monster, he commits a crime against the one who loves him most, and must atone by watching over her, a silent, solitary guardian for two thousand years, her heart’s protector while he himself remembers what it means to be a human being. That’s the mythic version of the Lone Centurion story. And when you’re talking about someone who sits outside a box for two millennia, guarding the woman he loves, it’s a mistake to disregard the mythic too quickly. If we look at the ‘why’ of the Lone Centurion’s creation of course, things are a little more obvious and pedestrian. The Pandorica Alliance, the combined efforts of all the evil gits in the universe of time and space, are really a bit pants at research. Knowing the cracks in the skin of the universe are somehow down to the Doctor’s Tardis, they trace them back to a single event, on a single day, and highlight Amy Pond’s importance to the Doctor. Doing the kind of preliminary – not to say cursory – scan of her bedroom you’d expect of a teenage stalker, they get the Autons to impersonate a troop of Roman soldiers because there happens to be a book on Romans in Amy’s room. For the same reason, they base their whole ‘capture the Doctor’ plan around Pandora’s Box, her favourite story as a child, because that becomes a cunning plan if they randomly add two letters to their alliance name to avoid being too obvious. And for the same reason again, they give one of the Auton replicas the face of the man in her photographs. They make it ‘Roranicus,’ simply one among many Roman soldiers who forget they are Auton replicas until the control signal is sent and they do the job for which they’re created. That’s the point about the Centurion – his whole life is a lie. He wakes up, knowing some things, knowing Latin, having friends, having a life that is both entirely normal to him, and oddly alien. To be absolutely fair, this is true of all the Roman soldiers in his legion, but only Rory has a real person’s humanity to map onto. When he’s awakened as ‘Rory,’ he becomes the strange amalgam that is the Lone Centurion – a creature of living plastic, with the memories of a Roman and the emotions and attachments of a modern man. Rory, we know, would follow Amy into Hell itself – and, to be fair, would probably die there. But the Lone Centurion is something more than just Rory. He’s the combination of those three things – Auton, Roman and Rory. We’d learned in Amy’s Choice that if given the choice between a world in which there was no Rory and the possibility of death, Amy would choose death even as a way of being notionally ‘with’ Rory, in the same state as him. The Lone Centurion is the answer to the question of what Rory would do in a world without Amy, but where he was granted an extremely long life. He would take the long life of an Auton, the discipline of a centurion, and the emotional attachment of Rory Williams, and he would stand guard, ensuring that the woman who gave his life meaning, and made him something more than just a plastic man to be used by the forces of evil, was safe until she could be revived, brought back to life by a one in a billion chance and a fair amount of blatant Time Lord cheating. 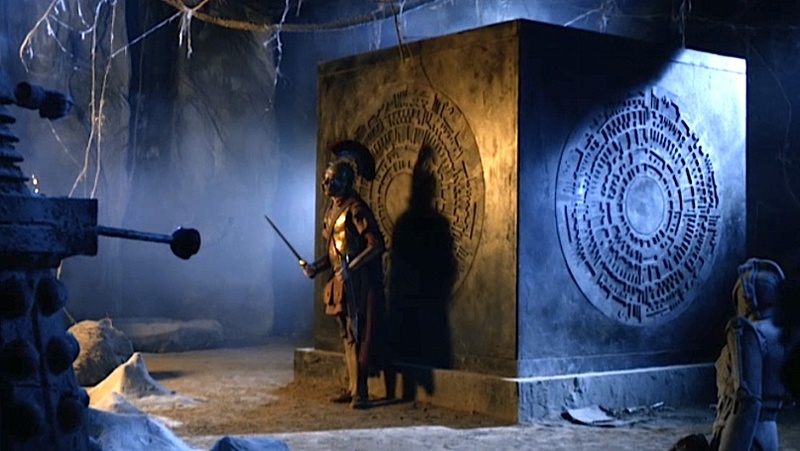 The Lone Centurion stays by the side of the Pandorica for nearly 2000 years, becoming a legend in his own right, disappearing almost at the last, but staying close by to protect its contents. And when it finally becomes possible, he helps Amy and the Doctor in the battle to reboot the universe. When the battle is won and the universe is rebooted, the Lone Centurion has done his job, helping to keep Amy safe and deliver a better future in which she can live. 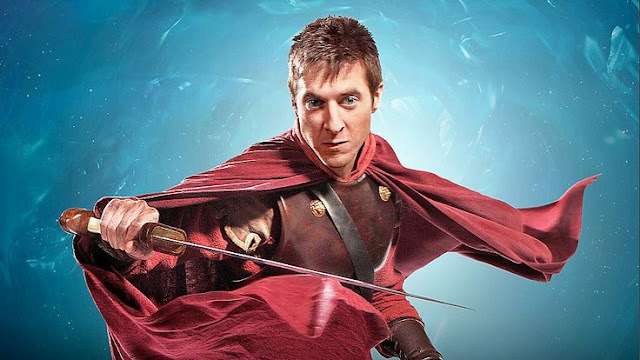 The Rory who joins her there and marries her is back to being ‘just’ Rory Williams, though he retains some memory of his time as the Centurion. To some extent, the Rory who finally ‘gets the girl’ is the fairy tale reward for the good heart of the Rory we originally meet in The Eleventh Hour. But to get from his beginnings to his Happily Ever After, not only does he have to grow enough to join Amy in her adventures in time and space, he has to go through the experience of his many deaths, and he has to be the Lone Centurion, spending many lifetimes defending the woman he loves – it’s a fundamental part of becoming notsomuch a ‘real boy’ as the ‘real man’ who’s worthy of Amy Pond’s love.